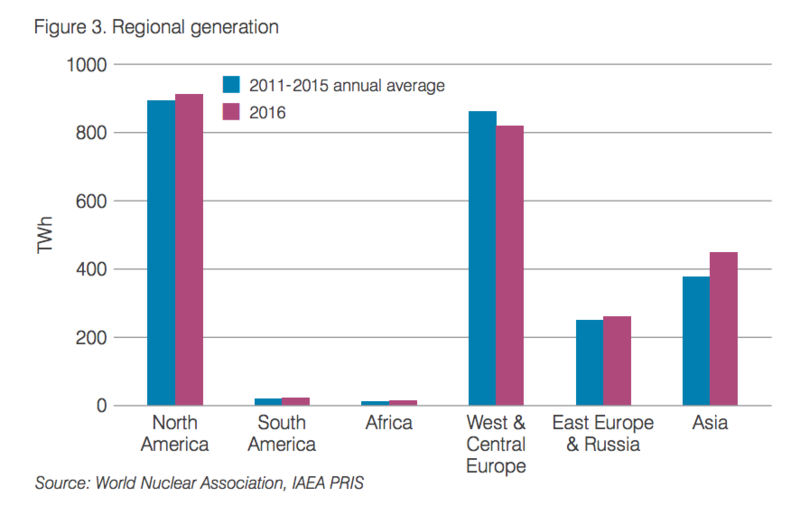 More than 9 GWe of new nuclear capacity came online in 2016, the largest annual increase for over 25 years. By the end of 2016 there were 448 reactors around the world, up from 441 at the start of the year.Ten reactors started to supply electricity and three were closed down, resulting in a net increase in nuclear capacity of just over 8 GWe. 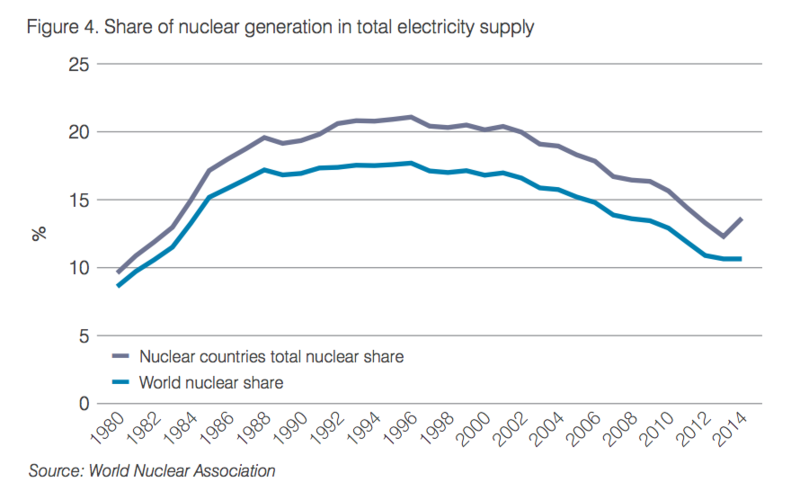 The amount of electricity supplied by nuclear globally increased by 35 TWh to 2476 TWh. This increased generation is the result of both additional generation from new reactors coming online and continued performance improvements from the existing fleet.